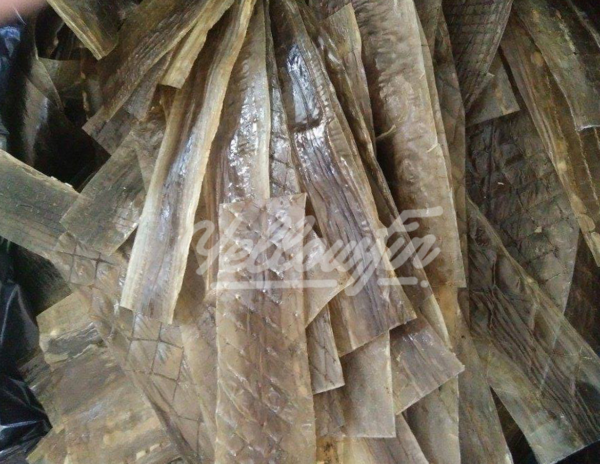 Dried Hagfish / Slime eels skin is not only famous for its advantages of making great Leather products.The eel leather is smooth and with elegant horizontal stripe-like patterns.It is more shiny and smooth than most leather types. More over, The Dried Hagfish / Slime eels skin is also famous for its advantages of making good dish. 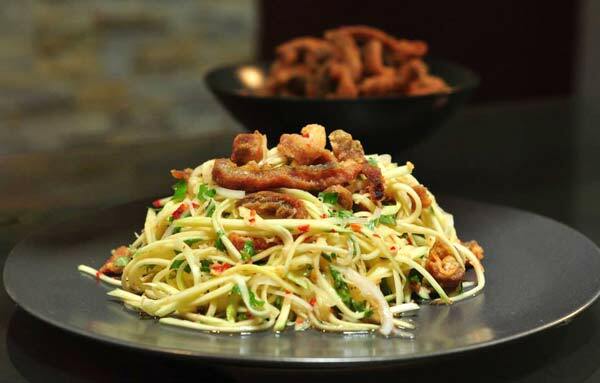 Deep fried dried skin which is rich in nutrition and Omega-3 crispy food combining with salad making great dish to try. Choline enhances memory, improves brainpower in learning and working. Lecithin has the effect of protecting the liver, promoting the nervous system and developing the brain. Unsaturated fatty acids are effective in the prevention and treatment of atherosclerosis, high cholesterol, high blood pressure and cardiovascular disease. Where to buy Dried Hagfish / Slime eels Skin in Vietnam? Yellow Fin Foods Co.,ltd (YFC) distributes Dried Hagfish / Slime eels Skin all over the country and abroad as well. Our agencies are at Hanoi, Ho Chi Minh City and Da Nang city, etc.